The Cyberathlele Professional League has announced it is shutting its doors after 10 years in operation. Citing an overcrowded field of competing leagues and an ongoing economic downturn, the CPL announced it has suspended operations and canceled all events scheduled for 2008. 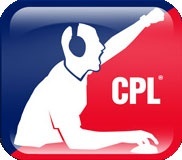 Launched in 1997, the CPL experienced significant growth over its decade of operation, from a small LAN in Dallas, Texas to world-class international competitions. "The CPL regrets that this news will disappoint those that were planning on attending the summer and winter events this year," the league said in its announcement of the shutdown. "Many thanks to all of the sponsors and partners that helped CPL establish the groundwork for professional videogame competitions. Their vision and pioneering spirit should always be remembered." The move follows the September 2007 closure of the World Series of Video Games, which also cited increased competition as a reason for halting operations. Other professional gaming organizations are doing considerably better, however; Major League Gaming announced a content deal with ESPN in January, and followed that up with a sponsorship agreement with Dr. Pepper in March.